To claim this profile, please confirm you are Avery Reiter. To follow this profile, please let us know your relationship to Avery Reiter. RESULTLoss Girls varsity basketball vs. Serra. The Aliso Niguel varsity basketball team lost Saturday's neutral playoff game against Serra (Gardena, CA) by a score of 70-46. RESULTWin Girls varsity basketball vs. Los Alamitos. The Aliso Niguel varsity basketball team won Thursday's home playoff game against Los Alamitos (CA) by a score of 47-38. RESULTWin Girls varsity basketball @ Dana Hills. The Aliso Niguel varsity basketball team won Thursday's away conference game against rival school Dana Hills (Dana Point, CA) by a score of 50-38. RESULTWin Girls varsity basketball vs. Trabuco Hills. The Aliso Niguel varsity basketball team won Saturday's home conference game against Trabuco Hills (Mission Viejo, CA) by a score of 57-17. RESULTWin Girls varsity basketball @ Tesoro. 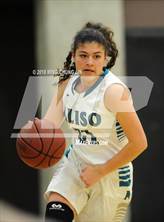 The Aliso Niguel varsity basketball team won Tuesday's away conference game against Tesoro (Rancho Santa Margarita, CA) by a score of 46-35. RESULTWin Girls varsity basketball vs. San Clemente. The Aliso Niguel varsity basketball team won Saturday's home conference game against San Clemente (CA) by a score of 56-48. RESULTWin Girls varsity basketball vs. Dana Hills. 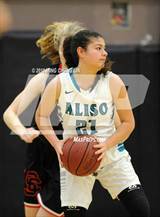 The Aliso Niguel varsity basketball team won Thursday's home conference game against rival school Dana Hills (Dana Point, CA) by a score of 67-28. Avery's basketball stats have been updated for the win @ Trabuco Hills. RESULTWin Girls varsity basketball @ Trabuco Hills. 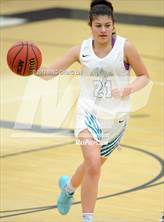 The Aliso Niguel varsity basketball team won Saturday's away conference game against Trabuco Hills (Mission Viejo, CA) by a score of 48-28. Avery's basketball stats have been updated for the win vs. Tesoro. RESULTWin Girls varsity basketball vs. Tesoro. The Aliso Niguel varsity basketball team won Thursday's home conference game against Tesoro (Rancho Santa Margarita, CA) by a score of 67-37. Avery's basketball stats have been updated for the win @ San Clemente. RESULTWin Girls varsity basketball @ San Clemente. 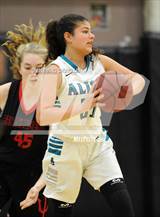 The Aliso Niguel varsity basketball team won Tuesday's away conference game against San Clemente (CA) by a score of 58-46. RESULTLoss Girls varsity basketball vs. Clovis West. The Aliso Niguel varsity basketball team lost Friday's home non-conference game against Clovis West (Fresno, CA) by a score of 84-42. The Aliso Niguel varsity basketball team lost Saturday's neutral tournament game against Central (Fresno, CA) by a score of 49-39. This game is part of the "West Coast Jamboree - Coral" tournament. Avery's basketball stats have been updated for the win vs. Redwood. RESULTWin Girls varsity basketball vs. Redwood. The Aliso Niguel varsity basketball team won Friday's neutral tournament game against Redwood (Larkspur, CA) by a score of 51-24. RESULTLoss Girls varsity basketball vs. Antelope. The Aliso Niguel varsity basketball team lost Thursday's neutral tournament game against Antelope (CA) by a score of 49-44. The Aliso Niguel varsity basketball team won Thursday's neutral tournament game against Fountain Valley (CA) by a score of 48-26.